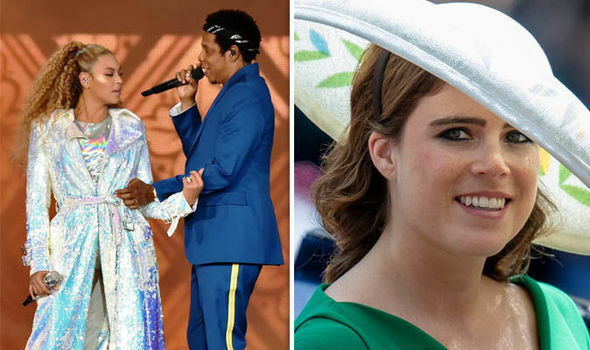 PRINCESS Eugenie’s wedding is just a few months away and speculation is rising over which celebrity guests will attend – but will power couple Beyonce and Jay Z be among them after the royal was spotted in the crowd at their On The Run London concert? 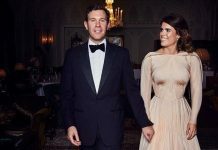 The Queen’s granddaughter will marry Jack Brooksbank at St George’s Chapel, Windsor Castle, on October 12, 2018 after seven years of dating. 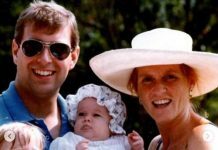 Prince Andrew and Sarah Ferguson said they were “delighted” at the couple’s engagement, which was announced in February. Eugenie is said to have a large enclave of celebrity friends – and now the internet is wondering if Beyonce and Jay Z can be added to the list after the princess was seen partying away at their On the Run tour on Saturday. The ninth-in-line to the throne went incognito at the 66,000 capacity London Stadium, dressed in a black bowler hat and hat, as she was spotted chatting with her fiance. Will Beyonce and Jay Z attend Eugenie’s wedding? Saturday’s On the Run gig is not the first time Eugenie has rocked up to a Beyonce concert. The princess was picked out of the front-row crowd by the Destiny’s Child singer at the 02 in 2013 when she was 23. Beyonce was reportedly unaware of who the royal was as she bopped along to Irreplaceable next to celeb mates James Middleon and then-girlfriend Donna Air. At the time, a concert-goer told the Daily Mirror: “”She was really excitable and filming the whole thing on her iPhone like any other fan. Despite clearly being a huge Beyonce fan, there is no evidence to suggest Eugenie has a relationship with, or particularly knows, the US superstar. The two have never been spotted together at events and Eugenie was just among the the mass crowds on Saturday rather than in a VIP area. So at the moment it looks pretty unlikely that Beyonce and Jay Z will be donning their finery for their first royal wedding. Will Eugenie have more celebrities at her wedding than Meghan and Harry? Eugenie has many celebrity pals, including pop star Ellie Golding to whom she is said to be close. 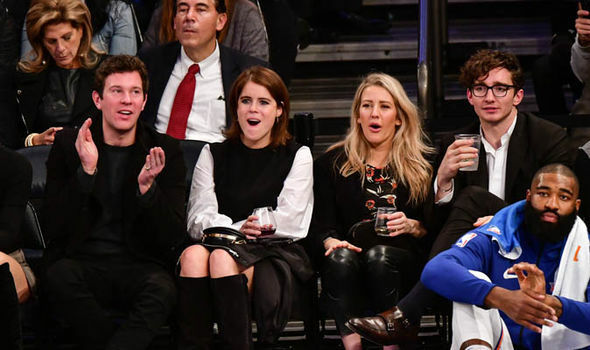 They were seen watching a basketball game between New York Knicks and Brooklyn Nets at Madison Square Garden, New York, last October. Other good friends include A-list model Cara Delevingne and Holly Branson, daughter of Virgin business magnate Richard Branson. Prince Harry’s former flame Cressida Bonas – who did attend his wedding to Megan in May – is also likely to be there. Royal Expert James Brookes, of Royal Central, told Express.co.uk earlier this month that names from the world of art may be there too.